This investigation is still in the preliminary stages and continues as Troopers collect evidence and information. 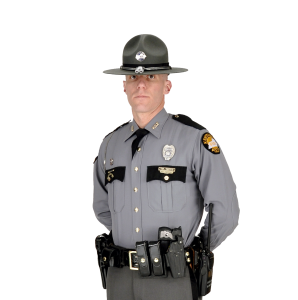 The deceased victims in this crash were the operator of the passenger vehicle, Tonya Fletcher (39) from Salyersville KY, and the passenger Timothy Rowe (23) from Salyersville KY.
Oil Springs KY– (March 21 2019) Just before 3:30 PM, Johnson County 911 notified Post 09 of a motor vehicle crash involving a logging truck, and a passenger vehicle. The crash was on US 460 at Oil Springs just inside the Johnson County line. One person was pronounced deceased at the scene, and one person transported to Paul B. Hall Medical Center in Paintsville, and was later pronounced deceased by the Johnson County Coroner’s office. As of 6:30, the roadway remains closed as Troopers complete the preliminary reconstruction investigation. Kentucky State Police urge anyone traveling in the area to use extreme caution, and if possible find an alternate route. Further details will be sent as they develop. Names of the victims will be released at a later time pending notification of next of kin.